TS-EVX-007 - Torque Solution Clutch Master Cylinder Reinforcement Ring - Pann Auto Performance - San Diego largest aftermarket automotive performance parts - What do you drive? 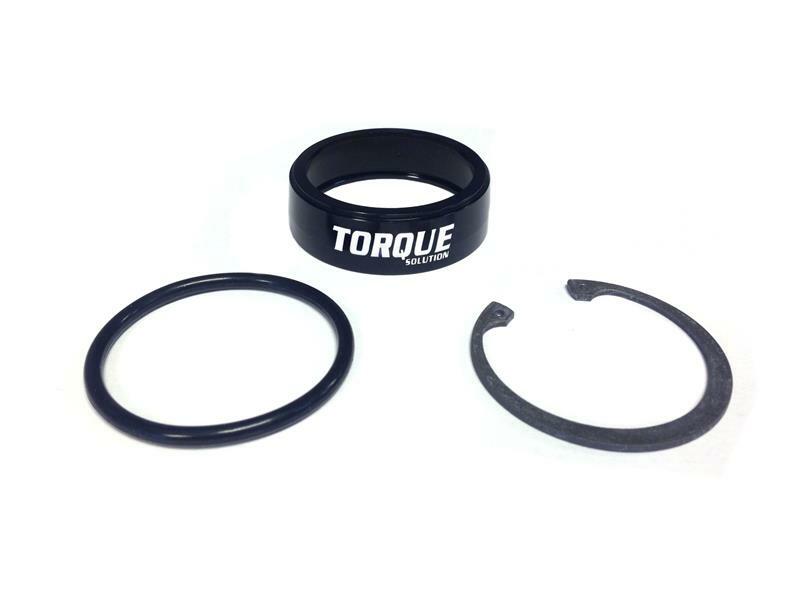 Torque Solution’s Mitsubishi Lancer Evolution X Clutch Master Cylinder Reinforcement Ring strengthens the factory unit from splitting apart. We have found that the plastic master cylinder in the EVO X can break into two pieces under even regular driving conditions. This becomes even more of a problem when an aftermarket clutch is used due to the added pedal pressure. This ring goes around the master cylinder and clamps it tightly together to reduce the risk of future failure. Please note this is not a repair, but a preventative low cost measure if you are still using the OEM plastic clutch master cylinder.